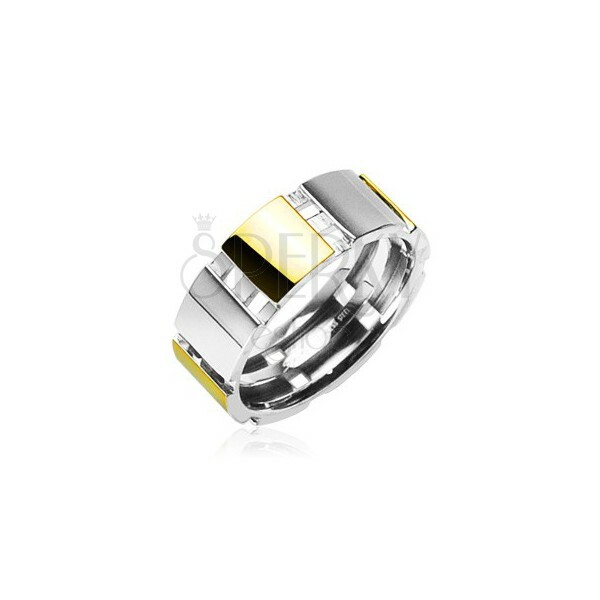 A steel ring divided into gold and silver parts. By buying this product you can collect up to 3 points as a voucher of $0.81. Your reward points. A ring made of steel with golden parts.